Prototype: Type G 10 two-axle refrigerator car with a brakeman's cab. 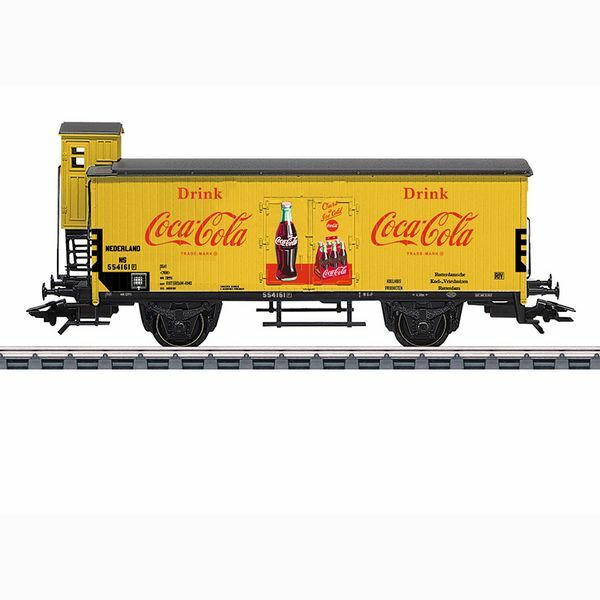 Here as a privately owned car for Coca-Cola®, used on the Dutch State Railways (NS). With advertising lettering. Car number 554181. The car looks as it did in Era III. Model: The refrigerator car has separately applied handrails on the ends. Length over the buffers approximately 11 cm / 4-5/16". DC wheelset E70 0270.